Altitude chambers are used to test electronics, products, and packaging which may be exposed to high altitude environments during their lifespan. If malfunctions occur, or other flaws are revealed in the testing process, manufacturers can then adapt the product design to avoid future malfunctions. Industries such as aerospace, aeronautical, military, and automotive employ strict altitude chamber testing due to the critical nature of their product activities. For example, the failure of a missile guidance system, aircraft radio, or a deep sea diving regulator would likely result in a severe and fatal accident. Therefore, the system components and equipment in these industries must be tested in extremes of varying pressure in order to determine any potential weaknesses. In addition, commercial products that require shipping via air can be tested in altitude chambers to ensure no product damage occurs during transit. Altitude chambers are also used for the testing of the human body in response to changes in pressure and altitude. These walk-in chambers monitor the response of the respiratory and circulatory system in persons for the purposes of pilot and astronaut training, professional athletic training, and in determining the symptoms and treatments for hypoxia, a condition caused by altitude change. 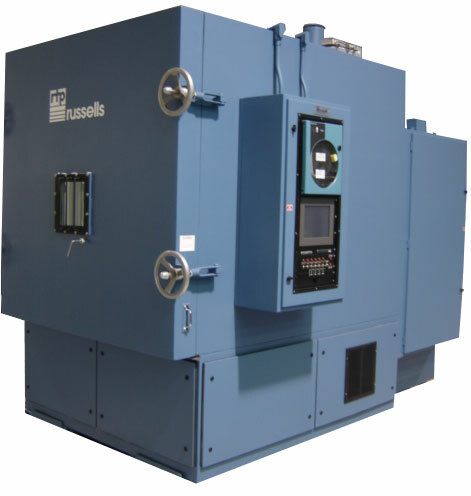 Environmental test chambers are designed with the capacity to replicate extreme environmental conditions in order to comprehensively test the reliability of a product. Altitude chambers simulate extremely high altitudes to evaluate the effects of pressure and air change, and 100k ft. to 200k ft. are achieved in these vacuum chambers. Altitude chamber manufacturers fabricate chambers which have the capacity to replicate pressure conditions of up to 100,000 feet above sea level. Test chambers can be used to test a combination of environmental conditions, and often temperature and humidity tests are included in the altitude chamber. This is necessary to increase the validity of the results in accordance with the true nature of the environment the product will be functioning in. Chambers such as these that are designed for such extreme altitude testing must be equipped with heavy gauge walls to prevent the internal collapse of the structure due to the inside chamber’s vacuum-like atmosphere. Chambers for altitude testing vary greatly in size from bench-top chambers to drive-in chambers due to the broad range of products that require altitude testing.